Even though Agatha Raisin loathes amateur dramatics, her friend Mrs. Bloxby has persuaded her to support the local pantomime. In this 25th cozy in the series (following Something Borrowed, Someone Dead), Agatha watches the local baker strut and thunder as the Ogre onstage—"Fee, fie, fo, fum, I smell the blood of an Englishman"—until a trapdoor opens and the Ogre disappears in an impressive puff of smoke. Only he doesn't re-appear at final curtain. When it turns out that the popular baker has been murdered, Agatha and her team of private detectives soon discover more feuds and temperamental behavior in amateur theatrics than in a professional stage show. 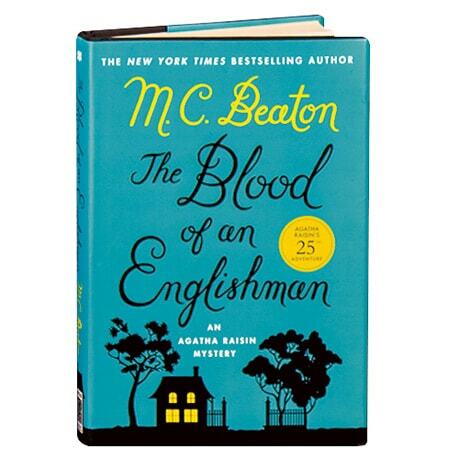 Agatha Raisin, "a glorious cross between Miss Marple, Auntie Mame, and Lucille Ball, with a tad of pit bull tossed in" (St. Petersburg Times) has won legions of fans since her first foray into crime-solving in Agatha Raisin and the Quiche of Death. Some 20 years and more than 20 novels later, this series of cozies continues to delight with the adventures of a cranky middle-aged woman who has a knack for stumbling across mysteries in the picturesque Cotswolds village she has made her home.